Have You Heard Of SPOT? The Personal GPS Tracking System…? 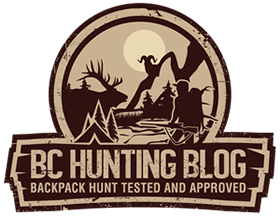 Imagine you and your most trusted hunting partner are heading out on the hunt of a lifetime… You’re backpacking into the High Country for 10-14 days. Although you always want to be prepared for anything you know deep down that the unthinkable is a reality on trips like these. You know some of the country you travel in… You know how rough it can be and the outcome of your trip can change in the blink of an eye for better or for worse. A few days into your trip and you’re walking along a high rocky ridge and you run into an old slide… You know the kind with big trunk sized boulders that can shift out from under you. It’s tricky terrain loaded down with a pack. You’re stepping along from rock to rock and all of a sudden you hear your buddy yell as the rock he stepped on has just shifted and he’s falling forward. The weight of his heavy pack pushes him head first into the rocks and you see he’s hit hard. So hard in fact, that your partner is unconsciouss, bleeding badly and seriously in trouble… You are 20 miles from the nearest road… There are no gas stations with a payphone nearby, no cell phones, no clinics, no hospitals, nobody to turn to… You are ALONE. Maybe you’ve got a satellite phone. They are heavy, expensive and most of us have to rent them. They don’t always work 100%. But it could save the day. This is just one of 1000’s of scenarios that could happen to one of us while enjoying our favorite pastime in the great outdoors. The device I am about to tell you about is going to save lives. And it’s going to cost about the same as a weeks satellite phone rental. I first heard about SPOT a few months ago but never took the time to really check out their website until recently. Coming from someone with a wife and two kids I can tell you this is an item I couldn’t have acquired fast enough! This is going to go with me on any and all of my backcountry trips from now on. 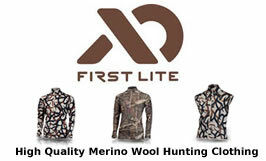 For you guys who like to hunt in the most remote places across the world you owe it to yourself and your loved ones to have one of these in your pack. God forbid it helps save your life one day. So what is SPOT…? It’s a personal GPS tracking system. In short, it gives you the ability to press a button in the event of an emergency. Your signal will be routed directly to a local 911 call center along with a Google map and coordinates to locate you immediately. You push the button and help is on the way. 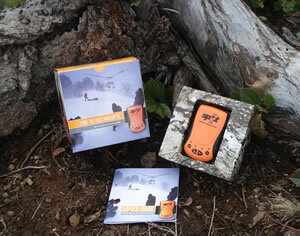 This device takes the SEARCH out of Search & Rescue. It also gives you the ability to allow loved ones to track your progress on Google Maps, and let them know you’re ok. Your family will thank you for this. SPOT runs on 2 AA Lithium batteries and according to the manual the batteries will last for a very, very long time. Longer then most 10-14 backpacking trips for sure. The device is not much larger then a standard cell-phone and for the peace of mind it brings it’s worth the extra 8 ounces in your pack. I took my SPOT device out onto the logging roads behind my house today for a quick little test. I turned the unit on and waited approximately 2 minutes. I then activated the “Check-In” feature that sends my personalized “I Am OK” message to the contacts on my SPOT-team (friends and family). The email was received into my inbox virtually instantly. Less then 1 minute on this test and thats pretty fast. Here is the message that SPOT sent my contacts. Just checking in. I am okay. We are at the location provided. I did spend the extra $49.00 for the tracking feature which when turned on will track your progress every 10 minutes and mark your locations on a Google Map that your SPOT-team can login and view whenever they like. It’s an incredibly useful little feature. When all was said and done SPOT cost me $169.00 for the unit, $99.00 for activation, $49.00 for the tracking feature and $7.95 for the optional S&R extraction policy. Around $350 total with all the bells and whistles. The $7.95 optional GEOS S&R benefit is well worth it if you’re a Canadian or American citizen. 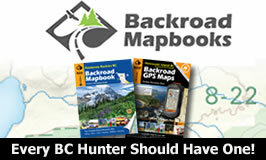 As you qualify for up to $100,000 in additional search and rescue resources to help you if you’re in trouble. There are some conditions but for $7.95 it’s worth it. If you don’t activate this coverage on your initial SPOT activation it will cost you full price later which is $150. 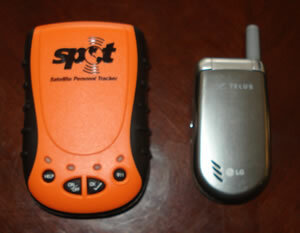 Before you start planning for your next big backpack hunting trip consider buying yourself the SPOT device. It could save your life one day.